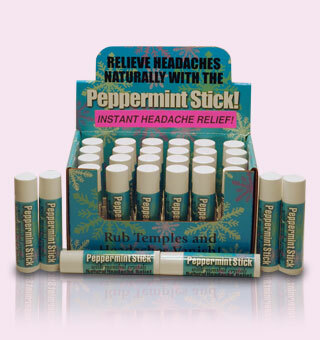 Peppermint Headache Stick, the perfect natural alternative for those common headaches. Enriched with natural menthol, simply apply to temples and forehead for natural relief. Also great for sinus congestion and neck tension. Made with pure menthol crystals, rosemary oil & peppermint oil. Ingredients: Beeswax, sunflower oil, peppermint oil, rosemary oil, menthol crystal and vitamin E.